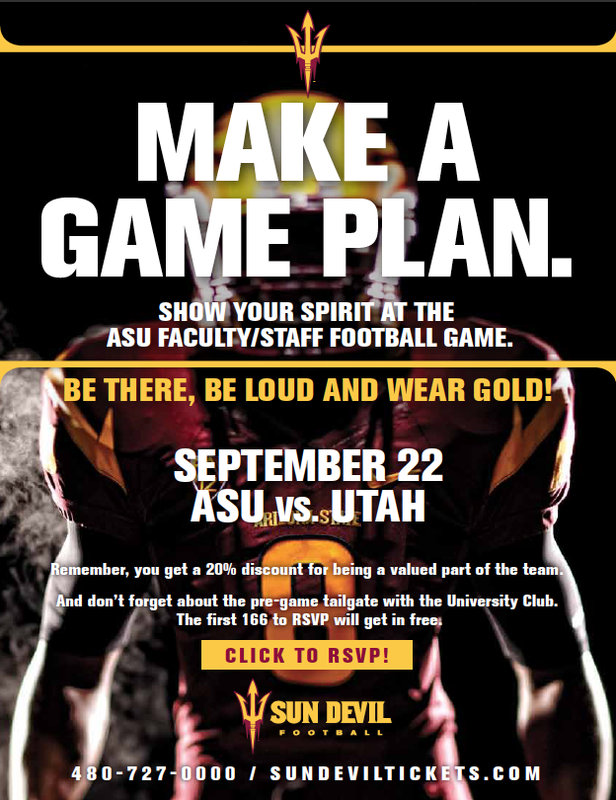 The Sun Devils football team recognizes ASU’s faculty and staff on when they take on Utah this Saturday, September 22. Faculty and staff can receive 20 percent off two tickets to the game. 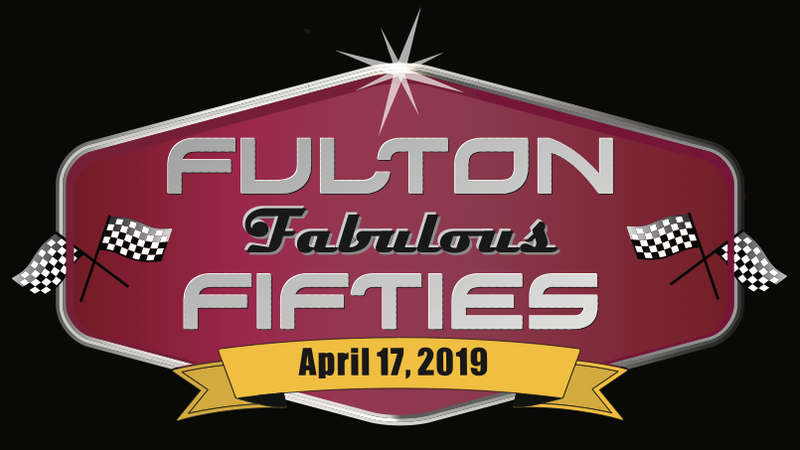 Call 480-727-0000 to purchase tickets. 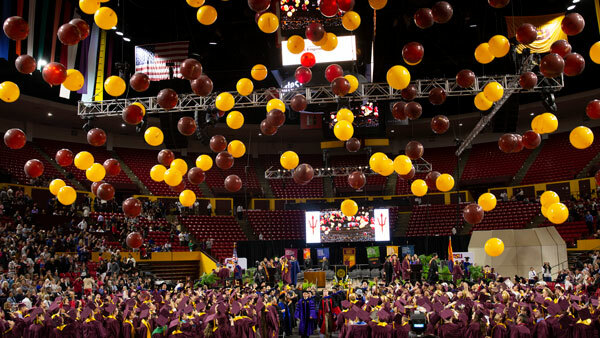 ASU News recently featured Jessica Slater and her year of gold challenge. 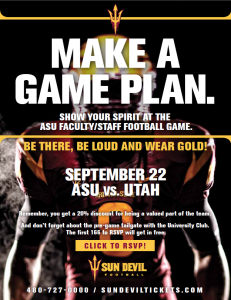 If you need more gold in your closet, visit a Sun Devil Campus Store the day before a home football game for double your normal discount on gold apparel. Your next chance is Friday, September 21.